When it comes to transit-oriented development, you would be hard pressed to find a better example of it than what is coming to life in the Cortex Innovation Community. Cortex has built up a concentration of technology and innovation companies and co-working space near MetroLink. A project to build a new MetroLink station to serve this thriving business district broke ground in June. The new Cortex MetroLink Station, which will be located between Sarah Street and Boyle Avenue, is scheduled to be completed in 2018. In anticipation of the new MetroLink station, the Cortex Innovation Community released development plans for Cortex 3.0, a set of buildings including a 150-room A-Loft hotel and an 180,000-square-foot lab and office building that is currently under construction. The entire project is predicted to result in $170 million of investment. The $21 million lab and office building will be just east of the @4240 building, and the project includes an attractive pedestrian walkway between the two buildings that will connect directly to the future Cortex MetroLink Station. The building will house a 13,500-square-foot innovation hall on the first floor, which could see the expansion of the popular Venture Cafe and allow Cortex to attract larger corporate and regional events. The A-Loft boutique hotel will be just east of the @4260 building that houses TechShop, and it will include a ground-floor restaurant and bar that is open to the public. The entire project focuses on creating quality public space and an inviting streetscape intended to enhance and extend the existing feel of the Cortex community – helping bring people to Cortex to live, work and play. The project is described as “innovation engineering,” which means creating a physical environment through architecture, streetscape, common space, transportation and programming that invites creativity and innovation to thrive. Bi-State Development is working with Cortex and others to design the connection between the Cortex community and the MetroLink station to be convenient and safe, and ensure MetroLink is an attractive transportation option. 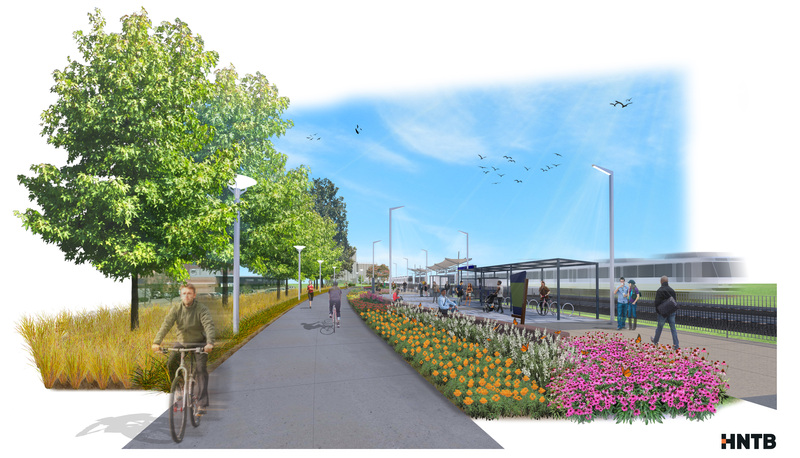 Great Rivers Greenway is also building the first segment of the Chouteau Greenway, a bike and pedestrian greenway, between Sarah Street and Boyle, providing another multi-modal connection for Cortex and the surrounding community. Dennis Lower, President and CEO of the Cortex Innovation Community, has advocated for many years for the new Cortex MetroLink Station, describing it as vital to the success of the District and to Cortex 3.0.